I love pork chops. Know what I love even more than plain pork chops? Pork chops that only need 2 additional ingredients and 20 minutes in the oven to become a delicious entree. Boom. Mission accomplished. So yeah, I don’t think you can ask for much more than this. I mean, this dish is soooo incredibly easy and comes out tasting great. 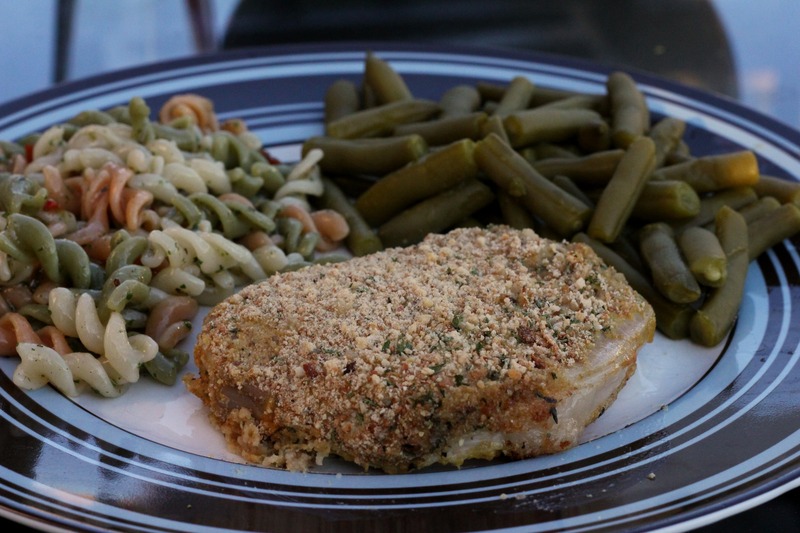 Again, here’s another great idea for a weeknight meal. One word about the flavor though: this does have a very strong dijon taste. If you or someone in your family does not like mustard or dijon flavored things, then you should probably skip putting this one on the menu. Which is such a shame really because it does taste delicious! The texture of this pork chops was just right. The crust was not so crunchy that it made it thick and difficult, but it was not so thin as to be imperceptible. It just had a nice toasted, seasoned crunchiness to it, while the inside stayed nice and juicy and tender. Coat chops with mustard. 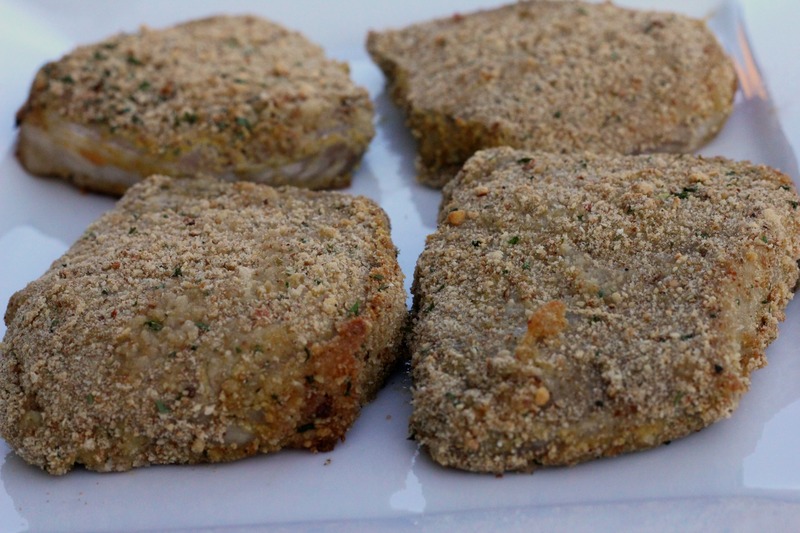 Combine crumbs & pepper; press onto tops & sides of chops. Place in a sprayed shallow baking dish. Bake uncovered 20-25 min @ 375 or until juices run clear & topping is lightly browned. I love it. Simple pork chops elevated to crunchy tastiness. Thanks Conor! Definitely love simple food with a flair! Ps. sorry I spelled yur name wrong, at work and not focused.